I am writing this article on the back of one of televisions greatest weekends of sport with the British Grand Prix, Wimbledon, the Tour de France, Lions Rugby, cricket and more. Sport apart, lets not forget the wealth of entertainment that grows by the year and is bolted on to the event world. Im thinking mainly of festivals long-lasting Glastonbury, Reading and Isle of Wight; newcomers Wireless and Lovebox; plus many more niche events. Even 80s bands can earn a reasonable living from performing over the summer months, despite not having released a record in 20 years. All require sound systems and lights; most are filmed in some fashion; then there are the event caterers, public caterers, stewards and security all funded out of the ticket prices that we, the public, are expected to pay. No wonder Glastonbury is now full of 40-somethings (and, dare I say so, 50-somethings) and their kids because they are the only ones who can afford it. No complaints, though, as we have seen a huge increase in demand, associated with these events, for our industrys products. Last week I visited a friend of mine, the owner of CVP which is probably the leading supplier of broadcast kit in the UK. We have both been in the industry too long well, 25 years and have known each other throughout. Sitting in hot sunshine outside his offices in the midlands, we chewed the cud while playing Pooh sticks in the river (you cant take the competitiveness or the child out of two 40/50-somethings), discussing the state of the industry and looking forward to the coming of IBC. We both believe that the industry is in a very dull state at the moment and that there is really nothing new to look forward to. Most of the innovations have happened and now it is simply more of the same. 4K, 4K, 4K is all the manufacturers bang on about but I still maintain that there is no sign of any consumer demand for it, plus the viewing monitors are so expensive that it could take years to have a proper economic post solution. Everyone is looking to the future but the reality of today is to be able to deliver correctly priced products to the market, in time and on spec. Interestingly, my CVP friend said that for the first time he actually had stock of the original Blackmagic camera which means that, two years down the line, they have been able to fulfil initial demand for that product. Blackmagics later cameras have also not shipped but, if the company could solve its supply problems, it could be an extremely dangerous competitor to the likes of Sony. Once again, right product, right price, at right time but, unfortunately, it still cannot supply. One company that can supply is Alexa which, with the imminent 4K upgrade that I think will be released at IBC, has continued to be the predominant camera at the top end of the market. The Germans really know how to deliver a top end product filling a gap in the market and, over the last three years, its consistency at delivering the right product has reaped untold benefits. We have also noticed that, because of the lack of new products, people are trying to find new ways of making existing technology work and that is why we have seen the growth of anamorphic and experimental shooting. Now to the finale ¦ and what a final it was. Im finishing this article after getting back from watching Andy Murray on Centre Court. 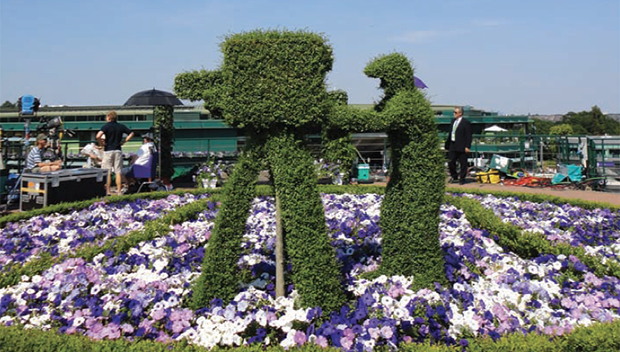 What an amazing sporting event Wimbledon is and see how it allows me to link back to the beginning of this article, and to broadcast, because this years Championships was, I believe, the last 3D broadcast by the BBC which is looking to shut down its 3D channel (dont let me say I told you so). It was also the first full 4K production of the event. Lets hope that 4K doesnt end up the same way as 3D as I remember sitting in a west end cinema watching Djokovic beat Nadal, broadcast in 3D, and I believe Sony has just repeated this with 4K. Well, as they say, the great thing about 4K is that it is future-proofed and lets hope it is as it will probably be another 77 years before a Brit repeats the triumphs of Andy (as in Murray) and Freddy (as in Perry). If you would like to know more about broadcast, and especially today about tennis, please do not hesitate to contact me at peter.savage@azule.co.uk and/or write to the TV Bay editor, or read more of these articles.